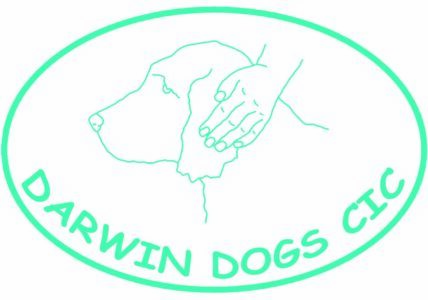 Darwin Dogs CIC is a Community Interest Company, a non-profit organisation, based in Nottingham. Many mental health problems cause the person experiencing them to feel socially isolated, unwilling or unable to leave their home. A trained support dog can transform the lives of their owners by accompanying them when they go out, checking round the house on return to make the owner feel safe and even performing tasks around the house. Research has shown dogs can be useful in reducing symptoms of depression, anxiety, panic, bipolar, post traumatic stress disorder, obsessive compulsive disorder and dissociative identity disorder. We can work with people with mental health problems or on the autistic scale to train their pet dogs in general or specific tasks, as required, to improve each person’s well-being. We will come to your house or other place that we and you consider safe. We will work with you to train your dog to be better behaved, easier to handle or to perform special tasks, what ever you would benefit from them doing. If you are registered as disabled, and you and your dog are both suitable, we could even train your dog to a sufficiently high standard to be qualified as an Assistance Dog for you. Clients and dogs will be assessed for their suitability to take part in an individually designed training programme. Potential clients should be dog owners and have a diagnosed mental health condition or be on the autistic scale. A client needs to be registered disabled to be eligible for a qualified Assistance Dog.